Pega Chat broadens the omni-channel customer engagement experience of Pega Customer Service by providing customer service over the web. With Pega Chat, a Customer Service Representative (CSR) interacts with customers from your website by sending and receiving chat messages. 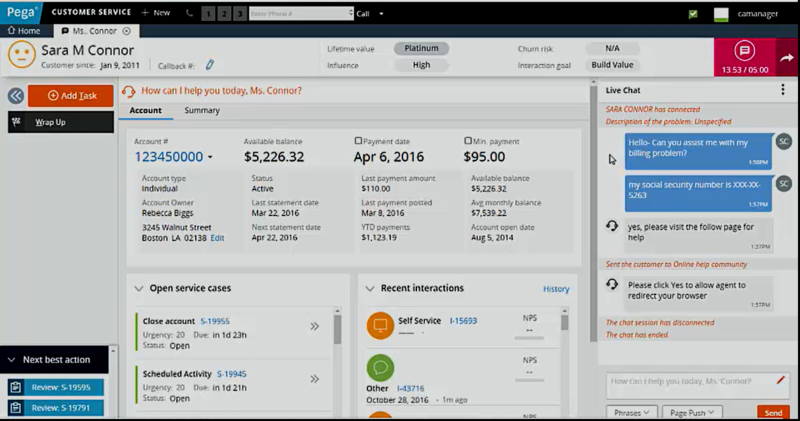 Pega Customer Service guides CSRs through chat interactions, making responses consistent. You need to install and configure Pega Customer Service for the Pega Chat application to work. Pega Chat includes the following main components. Pega Customer Service configured for Pega Chat (on the Pega Platform). The Customer Service application provides the user interface for CSRs by using chat. It also provides configuration tools for configuring all aspects of Pega Chat. The Pegasystems chat server, displayed in the following Pega Chat architecture diagram. The chat server provides chat communication by using the Extensible Messaging and Presence Protocol (XMPP). Customer and CSR web browsers communicate with the chat server over http or https. The chat server can be deployed in the cloud by using Pega Cloud Collaboration Services or on-premises. 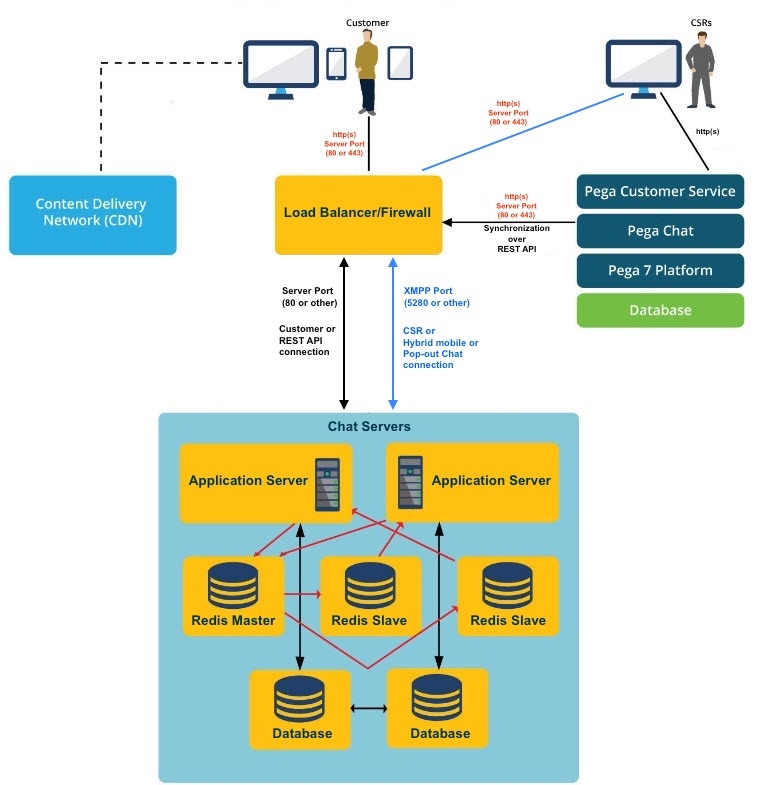 The following figure displays the Pega Chat architecture.